This rich traditional fudge gets its deep chocolate taste from unsweetened chocolate and its milky sweetness from condensed milk. Chopped nuts add flavor and texture. Old-Fashioned Chocolate Fudge is made like many traditional fudges, which means it needs to be beaten after being cooked so it will set up properly. You can do this step by hand or use an electric mixer, but be sure to avoid overbeating or the fudge will be unpleasantly grainy. Be sure to check out the photo tutorial with step-by-step instructions showing how to make old-fashioned fudge. Prepare a 9x9 by lining it with aluminum foil and spraying the foil with nonstick cooking spray. In a large saucepan combine the sugar and the water over medium-high heat. Bring the mixture to a boil, stirring constantly until the sugar is dissolved. Allow the mixture to boil for one minute, then stir in the condensed milk. Insert a candy thermometer and cook the mixture to 235 degrees, stirring frequently and washing down the sides of the pan occasionally with a wet pastry brush to prevent crystallization. Once the candy reaches 235 F, remove the pan from the heat and set it aside to cool for 15 minutes. Do not stir it during this time, or you will form sugar crystals and the fudge will be grainy! After 15 minutes, add the grated chocolate and stir to melt the chocolate. Once the fudge begins to thicken and set up, quickly stir in the nuts and pour the fudge into the prepared pan. Allow it to set at room temperature until firm, about 3 hours or overnight. After the fudge is set, cut it into small 1-inch squares to serve. 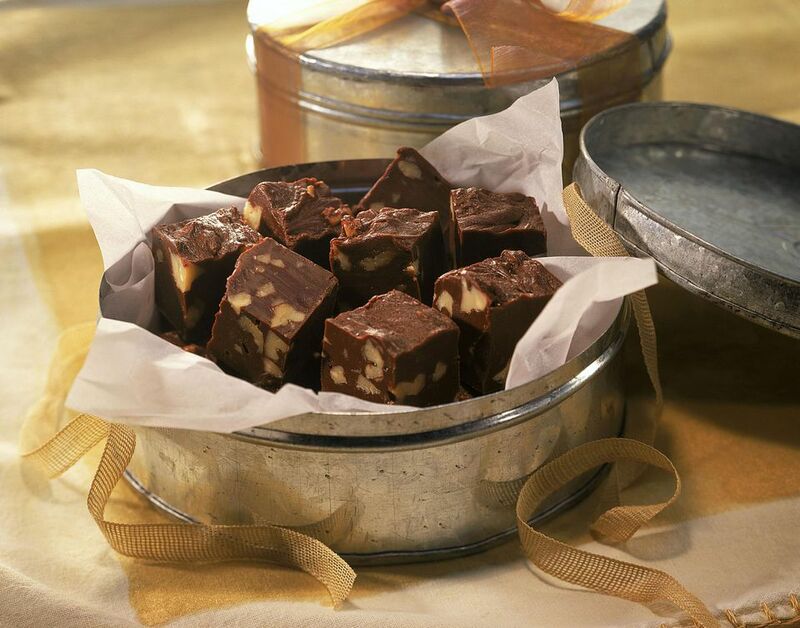 Store remaining fudge in an airtight container at room temperature for up to one week, or in the refrigerator for up to two weeks. Bring fudge to room temperature before serving.